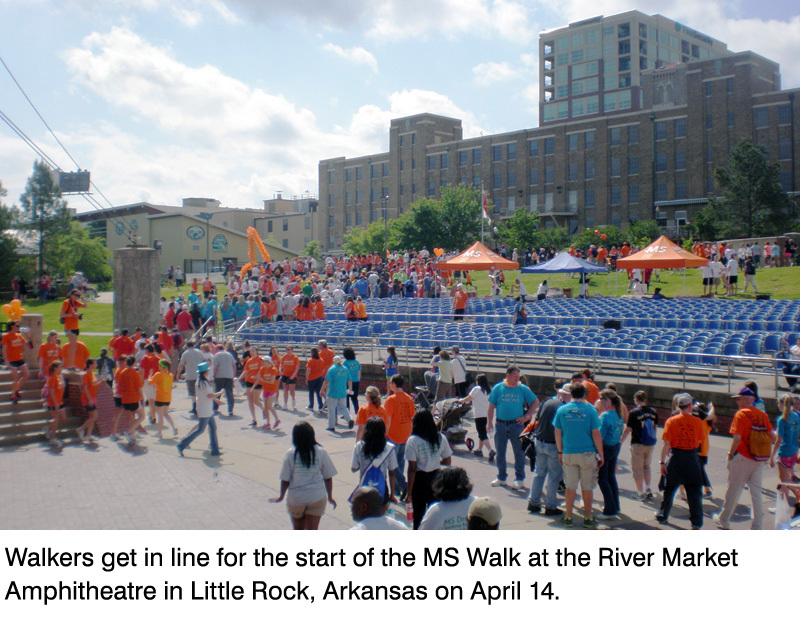 Bree Rush joined more than 1,000 people and put on her walking shoes for the MS Walk in Little Rock, Arkansas earlier this month. An administrative assistant in our North Little Rock office, Bree is motivated to support families with multiple sclerosis and MS research for a deeply personal reason. "I have family members with MS and Huntington's disease," Bree said. "I also have a friend with MS. When you see someone close to you lose control of their ability to talk, walk, play with their children, cook, and do other things we take for granted, it is heartbreaking. I really wanted to walk this year, and every year in the future, for them." Bree's fundraising team, Sarah's MS Dream Team, was led by Sarah Thomas, who was diagnosed with MS two years ago. "She is an inspiration to everyone with MS," Bree said. "She hasn't let MS stop her from being involved in her community. She is a part of many philanthropies, has gone sky diving since being diagnosed, and doesn't miss a yoga class or tennis match." 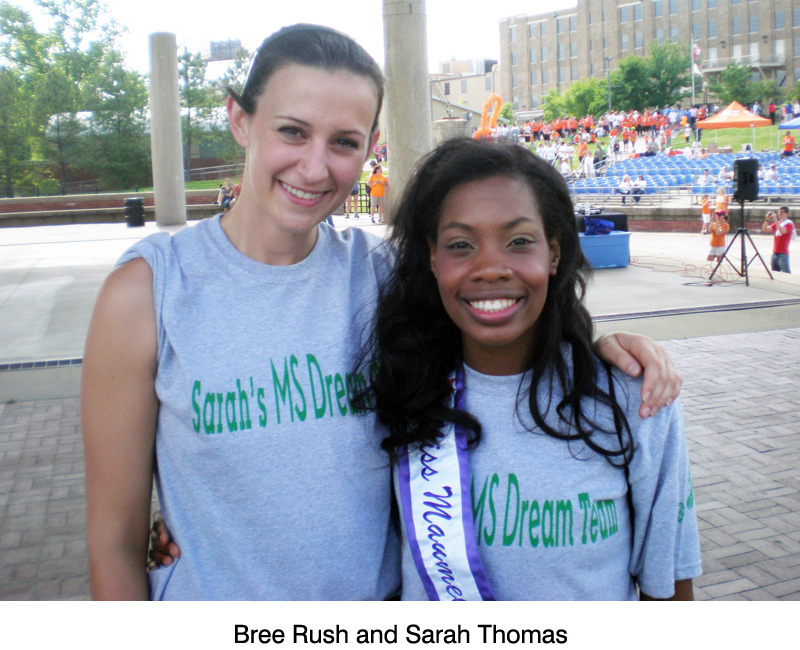 This year, Bree, along with Sarah's MS Dream Team and 1,000 others, helped the walk raise $115,000. "Those are both records, shattering the old ones by 300 participants and $30,000!" said Lisa Finkbeiner, Development Manager-Special Events with the National MS Society-Arkansas. "It was a beautiful day, and it could not have gone better." MS is a disabling disease that attacks the central nervous system, which includes the brain, spinal cord, and optic nerves. Symptoms may be mild, such as numbness in the arms and legs, or severe, such as paralysis or loss of vision.